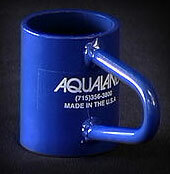 If you have any questions, or to get help on putting together a parts list CLICK HERE to e-mail Aqualand direct. You will receive a reply within 24 hours Monday Through Friday. 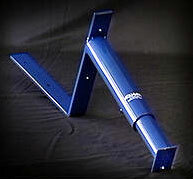 Aqualand Manufacturing offers the best quality ladders on the market today. 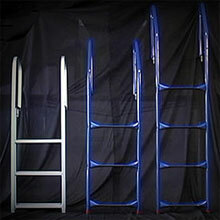 Strong and durable, Aqualand ladders are available in three or four step models, in either Blue Powder Coat finish, or maintenance free aluminum. Enjoy the tranquility of nature on the water. Add a Cedar Bench to your new Aqualand Portable Pier. Each bench is made with Cedar planking, and powder coated supports, available in either Blue or Silver, with hardware included. 4 - foot. Perfect for the outdoor canoeing enthusiast who loves the serenity of paddling across calm waters, yet hates having to haul the canoe up and down the shoreline. Aqualand's Canoe Brackets mount directly on to you pier's support post providing convenient storage, right on the water. 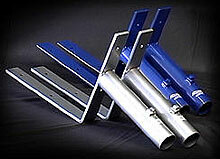 Available in Blue and Silver powder coat to accent your pier or dock. For the do-it-yourselfer. 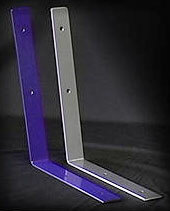 Use your own wood, or other material, to create your own custom bench length. Brackets fit over 1 1/2 inch pipe. Each comes with stainless steel locking sets. 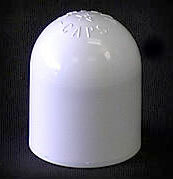 For use with Bench Brackets to add strength to bench seats over six feet in length. When added support is needed for an extra long bench.